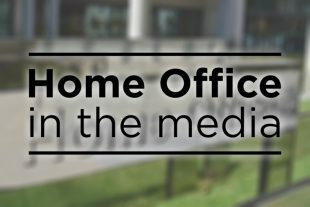 Today’s Home Office related stories include alleged reports of increased refusals for victims of domestic abuse and alleged reports of police funding cuts in Devon and Cornwall. The Guardian reports that the refusal rate for people applying to stay in the UK after suffering domestic abuse more than doubled between 2012 and 2016. The article claims that an FOI request revealed that the refusal rate for applications under the domestic violence rule rose from 12% in 2012 to 30% in 2016. A new rule which allowed people who entered the UK on a spousal visa and then suffered domestic abuse the right to apply for leave to remain, was introduced in 2002 after campaigners argued that women were being forced to choose between deportation and continued abuse. The piece carries the Home Office statement below. Domestic abuse is a devastating crime that shatters the lives of victims and families. This Government is committed to tackling violence against all people, regardless of their background. Applications for Indefinite Leave to Remain on the grounds of domestic abuse are handled by a specially trained group of caseworkers and each case is looked at on its own merits. Any rise or fall in the approval or refusal rate will simply be a reflection of the nature of applications received rather than any change in policy or how staff have been asked to consider such applications. Since initial decisions on domestic violence applications are made by a specially trained group, it is to be expected that successful review of their decisions are rare. Each application type raises its own unique issues. The Express and Star report on comments by Devon and Cornwall Chief Constable Shaun Sawyer who says the area receives a six-fold change in the population in five months as tourists flock to the area in the summer, yet their force is left “creaking”, with no extra money to deal with the influx. The pieces note that almost 11 million people visit Devon and Cornwall each year, with the vast majority arriving during the summer months. Police have the resources they need to carry out their vital work and we have provided a strong and comprehensive settlement that is increasing total investment in the police system by over £460m in 2018/19. Devon and Cornwall Police will receive £291m in direct resource funding in 2018-2019, including council tax precept – a cash increase of £8.5m compared with 2017/18. The decision as to how local policing is delivered is an operational matter for the relevant Chief Officer, in association with their Police and Crime Commissioner.